Here’s a little secret: Things like hazelnut and almond butter sound posh — you know, the kind of thing you can only find at your upscale organic-only co-op — but they’re not. The kind of thing that can be made while you’re waiting for your French press to fully steep. 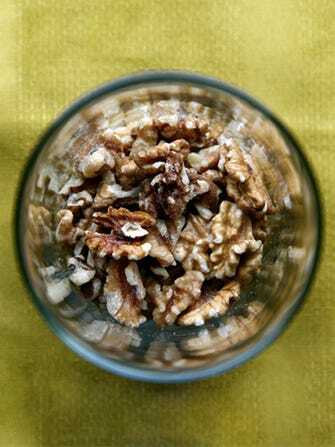 But, why walnuts? They happen to have a combination of more healthful antioxidants and higher quality antioxidants than any other nut. They’re also an excellent source of omega 3s and protein. And, it’s nice to talk up the health benefits of a recipe that actually tastes a little like cookie dough, which means there's a high likelihood that you will find yourself eating it by the spoonful. We take full responsibility. RELATED: Could These Brownies Actually Be Healthy? NEXT: What's Scarier — Expensive Bacon Or Our Food System?